Rossignol Nordic Race Skis, Boots & Poles! Skirack, Vermont's only Fischer Nordic Race Center, and Mansfield Nordic Club are proud to host an afternoon of Fischer products, prize drawings and pro race fitting. Meet Chris Hall, Fischer Nordic Race Director and Rick Halling, Fischer Nordic Fit Specialist. Check out the 2018/19 line of Fischer Skis, Boots, Bindings and Poles. Skirack's Junior Nordic Ski Lease Program is an affordable solution for first-time racers or skiers rapidly outgrowing their equipment. Featuring high quality gear from Atomic, Salomon, Rossignol and Swix. Wintersteiger Race NC stonegrinder and the Skirack Service Dept. are ready to take your racing to the next level. 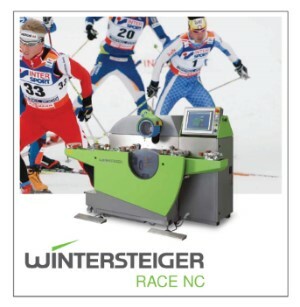 The Wintersteiger Race NC, used by almost all major nordic federations and ski companies, offers the highest quality and most consistent grinding available. + Universal warm and cold as well as temperature specific grinds. + Single and double hot box treatments. Want to share more about your experience at Skirack? You can add a Google Review Here. You are receiving this email because you provided your email address to ##CompanyName##. If this email was forwarded and you'd like to receive future emails, subscribe here. You can change your subscription options or unsubscribe at any time.